Home › Questions and Answers › Why is the Continuing Church of God is a corporation sole? Why is the Continuing Church of God is a corporation sole? So, there are two types of corporations, with the most common type being a corporation aggregate, normally simply referred to as a corporation. In it, the author points to a writing by Sir Richard Broke in 1558 that spoke of a ‘parson’ (a beneficed clergymen) as a corporation, indicating that this seems to be an early description of a corporation sole, though Richard Broke did not use that precise term (Maitland FW. The Corporation Sole. 1900, reprint by CPSIA, p. 6). (A chantry is an endowment of a place to have some type of religious service.) There were some who objected to this in the late 1400s and it took several decades for it to get more officially sorted out. (Sir Edward Coke lived in the late 16th and early 17th centuries and was one of the earliest to define a corporation sole.) But as it became part of English common law, it was essentially adopted by those in what is now the United States of America. Generally in modern times, the official organization name tells you what type of corporation it is. Corporation aggregates normally have the terms incorporated, corporation, ltd., limited, or inc. in their titles. 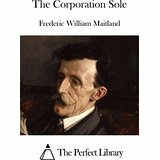 Corporation soles normally have the expression “a corporation sole” in their full, official, titles. The official name of the Continuing Church of God is Continuing Church of God Overseer and Successors, a Corporation Sole. This author first heard about the ‘corporation sole’ in 1979 while a member of the old Worldwide Church of God (WCG). The State of California attempted to claim that since churches were in the its category of ‘public charities,’ that the State had an interest in seeing that funds were spent in accordance with what the State, and not the church, thought was a priority. Various churches objected to this view after the State of California acted on it. But first, one year ago, day before yesterday, Satan launched his most massive blow, up to date, to destroy the work of the Supreme Almighty God by the massive invasion of the legal arm of the largest state in the United States, the state of California. Now Jesus said “if they had persecuted me, they will persecute you” and I had known all along that we were destined to be persecuted. Now government has always tried to completely destroy the church of God. That’s what’s going on right now; they’re trying to destroy the government of God at it’s very headquarters in Pasadena, California. And so, we find in the Bible, that God teaches us to keep the church surviving. There was a time when Jesus…they were after him to kill him but His time hadn’t come yet. And so He escaped from them and hid so they couldn’t find Him. Now shouldn’t Jesus have said, “Oh, well yes, if you’re the government, I must just give in and let you kill me.” Well, when the time came, He did because that’s why He came, but before that time He certainly would not do it. And the State of California came and provoked this lawsuit. Now mark you, It was a lawsuit, it was not a case of charging us, or arresting us on a charge to be in prison for anything wrong. We were not accused of any wrongdoing whatsoever by the state. But the ones who convinced the state to bring the suit, went to the papers and the newspapers’ and news on television and spread this thing that we had stolen so many million dollars as Mr. Rader said in the beginning of this program today. Shortly after the State of California moved against the old Worldwide Church of God and appointed a receiver to run it, Herbert W. Armstrong decided to stay out of California and form Herbert W. Armstrong a corporation sole. He basically said at the time that the State of California felt it could better decide how the Worldwide Church of God should be ran. Since he disagreed, Herbert W. Armstrong then instructed members to send tithes and offerings to the new organization Herbert W. Armstrong a corporation sole. My recollection is that he felt that this would show the State that the bulk of the membership of the then Worldwide Church of God was not in agreement with the State. In time, the State realized that this receivership of the Worldwide Church of God should not have happened and WCG basically ran out of money as the bulk of the tithes and offerings, for a time, ceased to go to the Worldwide Church of God, as they went to Herbert W. Armstrong a corporation sole. In the organizational pattern of God’s Church an ADVISORY COUNCIL OF ELDERS has been formed. It is not a legal board of directors. Actually the Worldwide Church of God is a spiritual organism, created by GOD — not a legal corporate organization created by this world’s laws. But, in order to function IN the world in an organizational manner, the Church of God has needed to be incorporated according to state laws. The members of the Church are NOT members of the “Worldwide Church of God, Inc.,” a California corporation, nor of “Herbert W. Armstrong, a corporation sole,” under which our financial operations currently are functioning (since the massive lawsuit by the state of California). But some will say, yes, but he never changed the Worldwide Church of God to a corporation sole. That is true, but consider that earlier when his wife Loma was alive, she was on the church’s board. Hence on, let’s say a three-person board, he and his wife held the majority. Furthermore, after she died, he felt he appointed men to the board that were loyal to his view on governance. But I also think that there may have been a couple of other reasons he did not revert everything to the corporation sole. By the time he got through the receivership crisis, he likely felt that it was better publicly to come back to the existing corporation. Since he often publicly claimed that this was a major victory for the church, he may not have wanted some to challenge his view if he had essentially changed the Worldwide Church of God to a corporation sole. Furthermore, when I discussed this with the former attorney for the WCG, Ralph Helge, he told me that the corporation aggregate was in the early 1980s (after the receivership) so structured that Herbert W. Armstrong had full control, so control was not then an issue. Furthermore, since Herbert Armstrong was quite elderly, and according to his closest advisor at the time (Aaron Dean, whom I have spoken to about succession matters, as well as others), it seemed that Herbert W. Armstrong was unsure who to trust in the top leadership. I suspect that he realized that a corporation sole leader, if an apostate, could have had too much control. Thus, this is why I suspect he let the aggregate corporation continue. However, as history shows us, that did not stop the apostasy that hit after his death. While there can be safety in a multitude of counselors who provide wise counsel (Proverbs 11:14), legally being able to be overruled by them is not something that the Bible teaches. Because of the apostasy that occurred in WCG, the Global Church of God (GCG) formed in late 1992/early 1993. Since the presiding evangelist there, Dr. Roderick C. Meredith, had a reputation for governmental harshness, he decided to push for a more collegial form of governance in order to attract ministers– a governmental form in which he did not have full control. This not only meant forming as a corporation aggregate, but also deferring certain authority to others beyond that which Herbert W. Armstrong did. This trend noticeably worsened in the late Summer of 1998, because of moves and statements made by Dr. Meredith. Because of that, I contacted my then minister in the Global Church of God, Dr. Jeff Fall (who was on the Council of Elders), and expressed concerns that Dr. Meredith seemed to be seriously compromising on church governance. Dr. Fall essentially held a similar position to mine on this, but it was not clear to me, what, if anything was done then to try to correct this. At least one of my suggestions was definitely not heeded to the detriment of that organization. Anyway, because of steps taken by Dr. Meredith and others, essentially a ‘coup’ emerged that forced Dr. Meredith out of his role as presiding evangelist. This would not have been possible if the old Global Church of God had been set up as a corporation sole (or if my advice on control had been implemented). Despite this experience, when he formed the Living Church of God in California (its original location), he also did not establish it as a corporation sole, even though that form was allowed under California law and remains consistent with his own teachings on church governance (see also The Bible, Peter, Paul, John, Polycarp, Herbert W. Armstrong, Roderick C. Meredith, and Bob Thiel on Church Government). He choose a less efficient structure. Therefore, why did the Continuing Church of God choose to be established as a corporation sole? Because of the receivership problem that the old Worldwide Church of God experienced, Herbert W. Armstrong’s formation of a corporation sole in 1979 to deal with it, the ouster of Roderick C. Meredith by the corporation aggregate board of the old Global Church of God, costs, and biblical and governance issues. So, when it became obvious that I likely would have to leave the Living Church of God, I remembered all of this and looked into the corporation sole option. After looking more into to it, I decided that it would be the best way to conduct church business in the 21st century in California. I smiled, at least to myself, when he said that. At least he grasped one of the reasons. In this bureaucratic age, avoiding additional paperwork is a plus. In addition to reduced paperwork and costs, it is also can make for more efficient governance, as well as one consistent with biblical governance. So, why do most churches not establish themselves as a corporation sole? Some advisor told them not to. There is no corporation sole option in their state (or they do not know about it). Leaders feel their members would want a controlling board. The leadership believed it was safer for them personally. Other than reason two, essentially, many church leaders are afraid that if the Internal Revenue Service (IRS) should declare that their group is not an actual church, and then declares contributions to their group to be non-tax deductible, then the leadership worries that they may have financial and/or other liability. Those who believe in Phildelphia era church governance would normally want their church to for as a corporation sole, if that option is available. Now in California, whether a church is unincorporated, a corporation aggregate, or a corporation sole, a church must file for tax exempt status with the State’s Franchise Tax Board. In 2013, the State of California’s Franchise Tax Board approved the tax-exempt status of the Continuing Church of God Overseer and Successors, a Corporation Sole. What is necessary to keep that tax-exempt status? So, basically to remain a tax-exempt organization, we must continue to operate. And, presuming no need to officially reorganize, the plan is for the Continuing Church of God Overseer and Successsors, a Corporation Sole to operate until we flee to the wilderness (Revelation 12:14-16) just prior to the start of the Great Tribulation. Therefore, because of reduced paperwork requirements, costs, efficiency of operation, principles of church governance, reduced governmental regulations, and lessons learned from the old WCG and GCG, the Continuing Church of God was established as a corporation sole. And it is also an officially recognized nonprofit organization. The Continuing Church of God accept tithes, offerings, and other financial donations. Our mailing address is Continuing Church of God, 1036 W. Grand Ave., Grover Beach, CA 93433. Donations to the Continuing Church of God are 100% deductible in all the US states (subject to the usual federal and state limits). New Zealand governmental charitable status was also attained, and hence donations in New Zealand are also fully tax deductible. Check out CCOG.nz as you have to send donations to New Zealand for them to be deductible there. Tax exempt status in Canada was also approved by their government, and hence donations in Canada are also fully tax deductible. Check out CCOGCANADA.CA as you have to send donations to Canada for them to be deductible there. 501(c)(3)? Why the Continuing Church of God chose a better option Most USA churches, especially those who have congregants in multiple states and nations, voluntarily register themselves as 501(c)(3) non-profit organizations. Could this impact their mission? Is there a better way? A sermon of related interest is titled: CCOG, a corporation sole, not a 501(c)(3). Tithing Questions and Some Answers Answers questions about tithing and also addresses some non-biblical arguments against tithing. Should people tithe? Here is a link to a related video sermon: Tithing Answers from the Bible.